A new season of Fortnite is almost upon us, and Epic has already revealed what to expect from season 8 of the world’s most popular online multiplayer game. For starters, we already know that Fortnite’s map has been altered quite a bit by the emergence of a volcano in a corner of the island – a location players will be visiting soon enough as the new map goes live. Aside from the lava-spewing volcano, there are other new locations for you to admire and duke it out with other players too: Lazy Lagoon and Sunny Steps are new points of interest on Fornite’s map, amongst others. 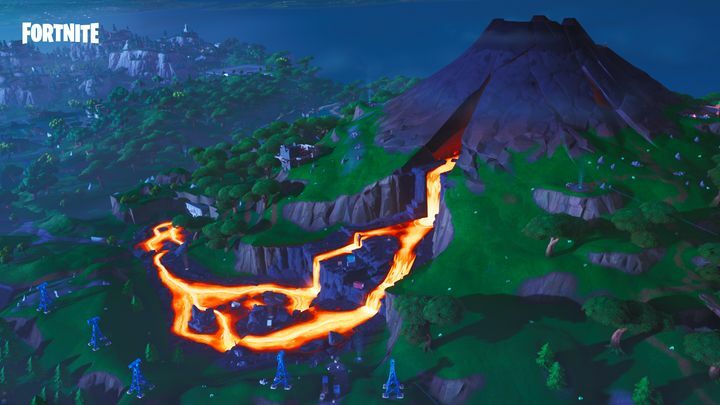 Also, the fact that Fornite’s island has gone volcanic means you’ll have to deal with lava from now on: this does damage to players as you might expect, but also causes you bounce off of it, something that could give you an advantage in firefights (if you don’t mind setting your feet on red hot lava that is…). 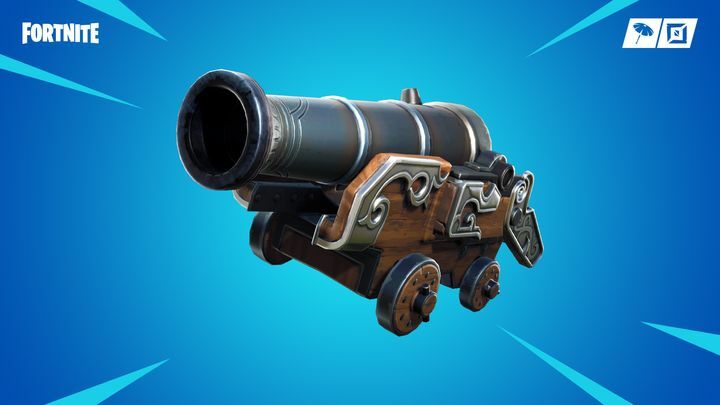 Also, those fond of heavy weapons will likely find much to like in Fortnite’s new cannon (see image below). This heavy-hitting weapon does tremendous damage to enemy structures and opponents, which could be a nice way of dealing with defensive players. What’s interesting here is that players can also launch themselves from the cannon, something which could prove to be a life saver when a shootout is not going your way. Some may not be so fond of the fact that some of season 7’s winter-themed items are now going the way of the dodo, though. The Chiller Grenade and Sneaky Snowman will be disappearing from the game (no more worrying about snowman-disguised players then). Also, planes are out too, so if you’ve been relying on these to get to places so far you might want to find an alternative means of transportation… Thankfully, with volcanoes come volcanic vents, which boost players (and even vehicles) into the air, helping you get wherever you want to faster. Aside from the free-for-all Battle Royale, you will also be able to play a 50v50 mode, in which you join one team and attempt to eliminate the opposition, with more ammunition and farming materials than usual available. There’s also the “Close Encounters” multiplayer mode: players get jetpacks and shotguns here, so this will surely be your cup of tea if you like close quarters combat and a more fast-paced mode. Epic is also making changes to Creative mode, which gets new voice chat-related options and to its Save the World mode, which gets a new loadout system as Epic explains on its website. Of course, Epic also revealed what to expect from this season’s battle pass, which some may have gotten free of charge if they completed last season’s overtime challenges (otherwise it can be had for 950 V-Bucks – Fortnite’s in-game currency – according to Epic). It will surely be a great thing if all these changes are for the better then, and that season 8 turns out to be a rousing success like season 7 was, so stay tuned to this website for more Fortnite-related information and tips on how to solve the game’s weekly challenges as they become available.